Sponsored by Mister Sparky® Electrical. All thoughts and opinions are my own. As homeowners we run into projects that can be overwhelming. Lighting is one of those projects that can be a little tricky. 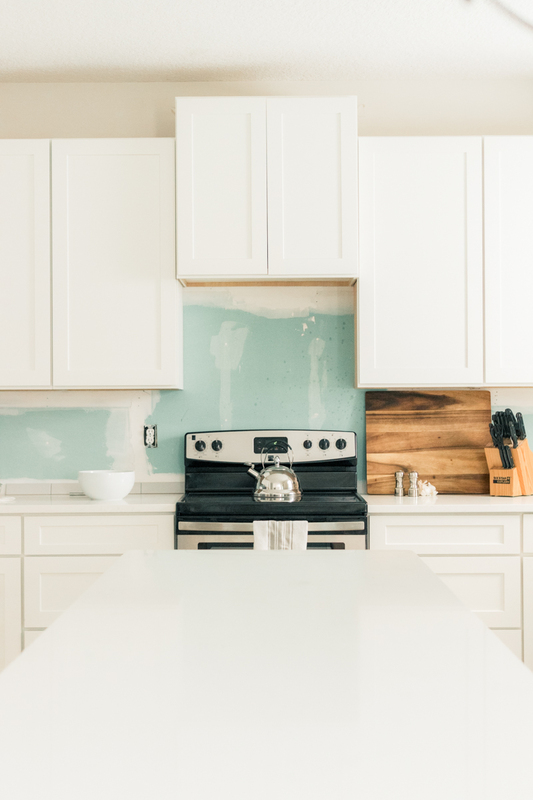 As you know, we’re in the middle of a kitchen renovation that has grown to epic proportions. 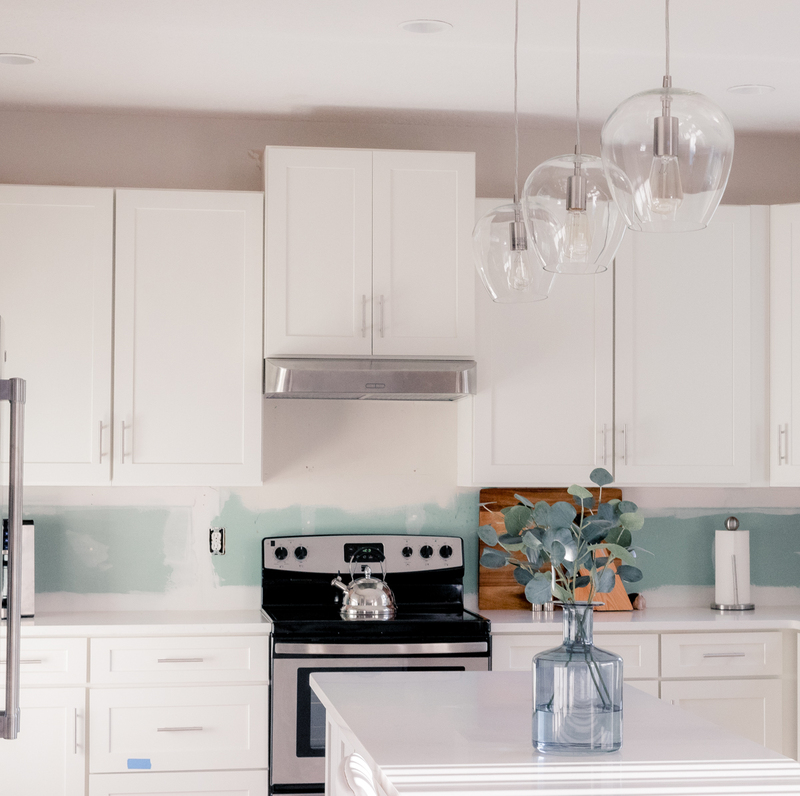 Today, I walk you through one of those little components that make a huge difference: installing kitchen pendant lights. 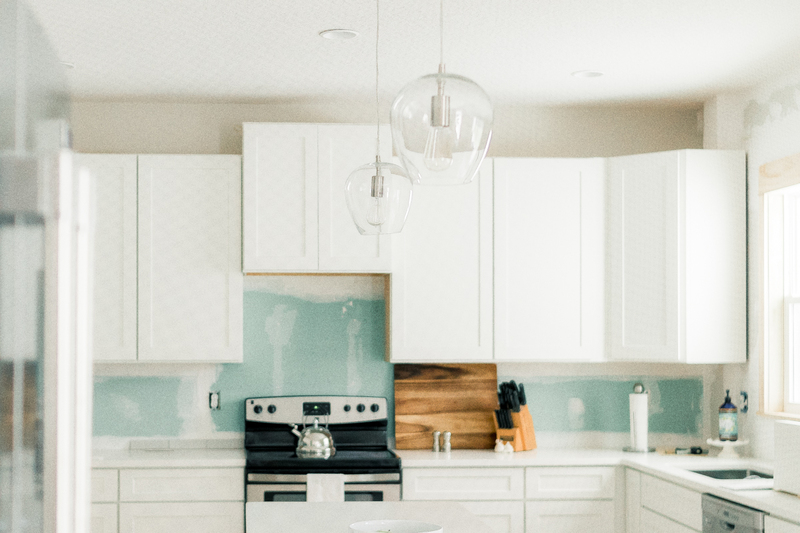 Knowing where your kitchen is lacking in lighting will help you prioritize and stick to a budget. If you already have many recessed lights (like we do) you don’t need light for function; you probably want mood lighting. 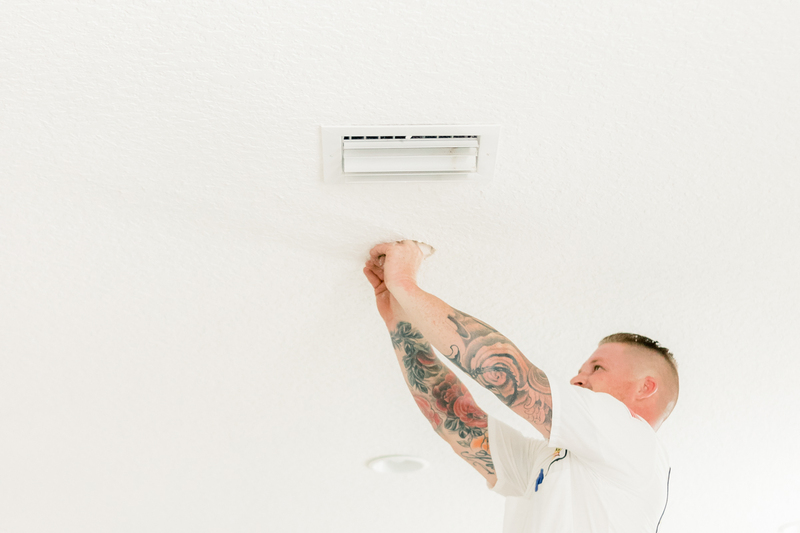 However, the most important thing is that the lighting needs are addressed by a professional. 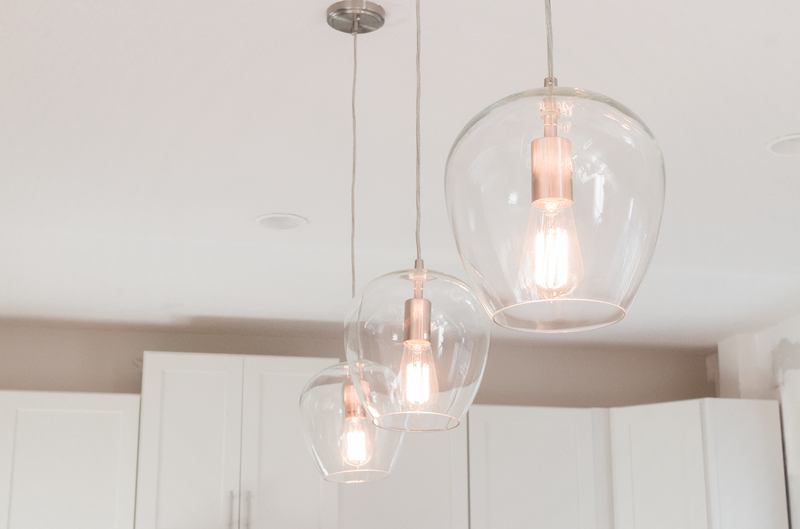 Where does your kitchen need extra lighting? What features do you want to emphasize? 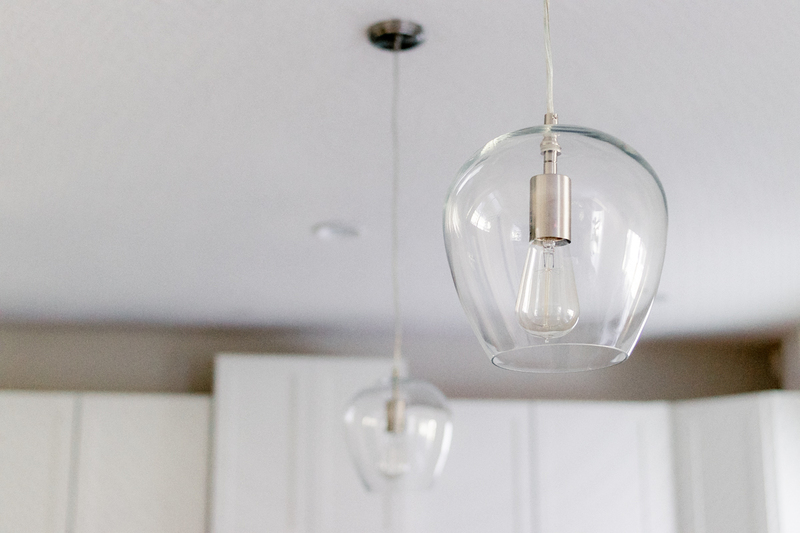 Where would installing pendant lights make entertaining and completing tasks easier? Above the island? How about an extra one above the sink? I love using Pinterest and Instagram for ideas. 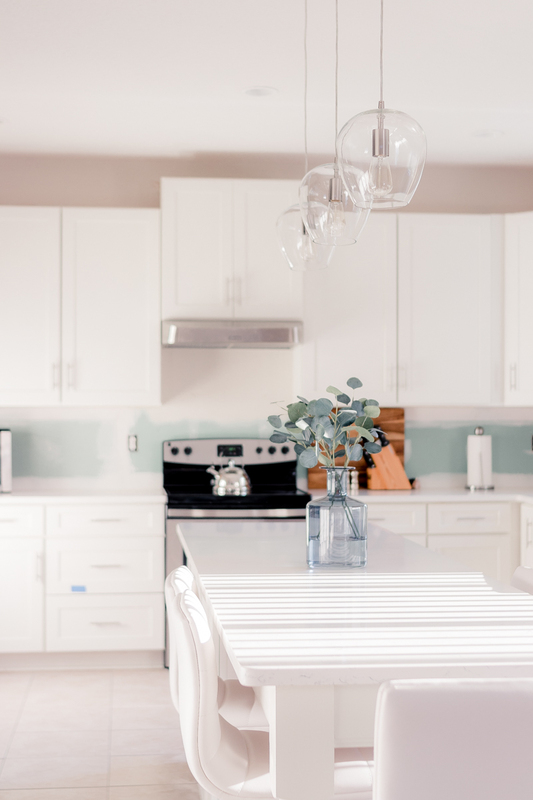 I personally follow the #whitekitchen hashtag for ideas on kitchen décor. It has helped me make decisions on lighting, tiling, cabinet styles and more. Our kitchen has 5 recessed lights and the adjoining dinette area has a hookup for one light feature. We had a chandelier over our dinette set, but now that we have a long island + table combo and got rid of our dinette set, our chandelier is no longer centered where we needed it to be (nor do we really need it). Please excuse the dust during our renovation! In our situation, we needed a little bit of both ambient and task lighting. 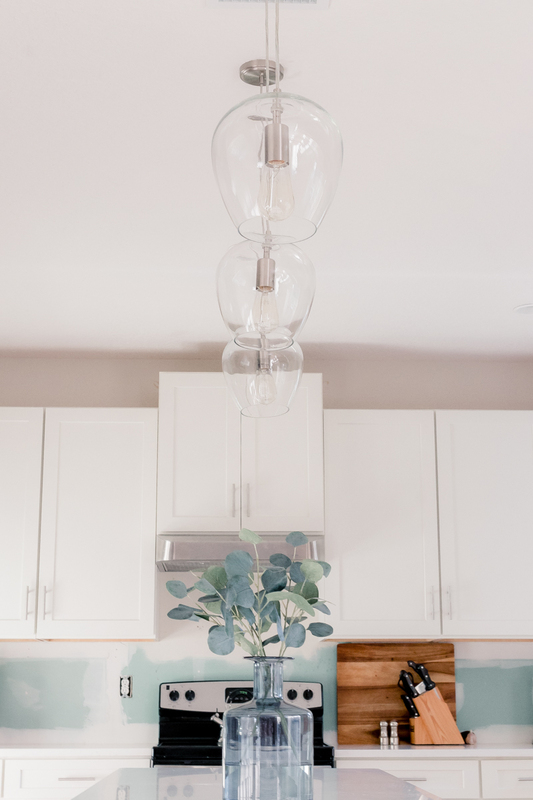 The perfect solution was a set of kitchen pendant lights over our island! 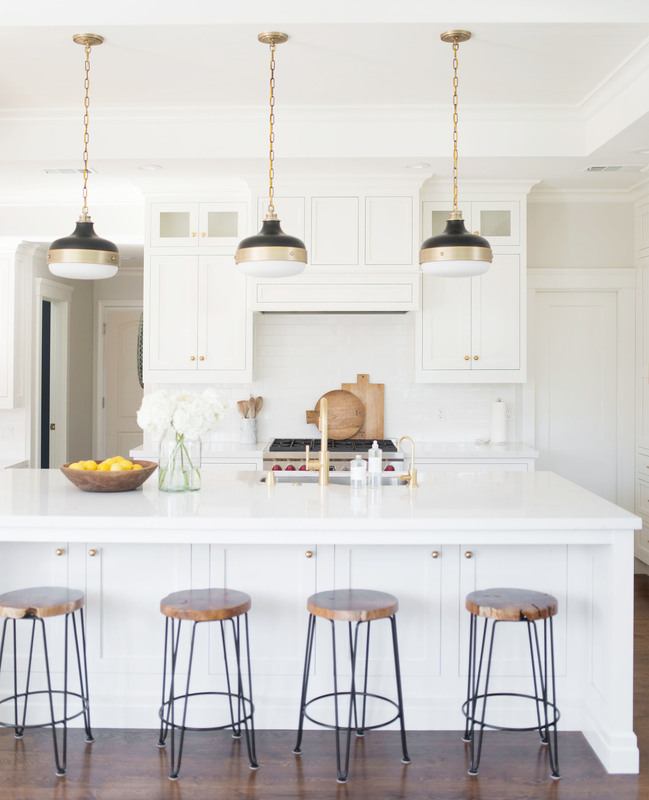 Do you lean toward a simple design that doesn’t distract from the flow of the kitchen? 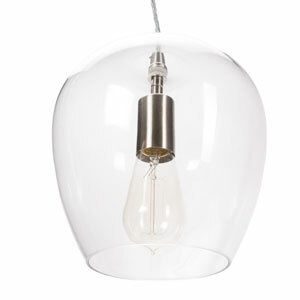 Or do you prefer one glamorous, show-stopping fixture that’s a conversation starter? This is the fun part! 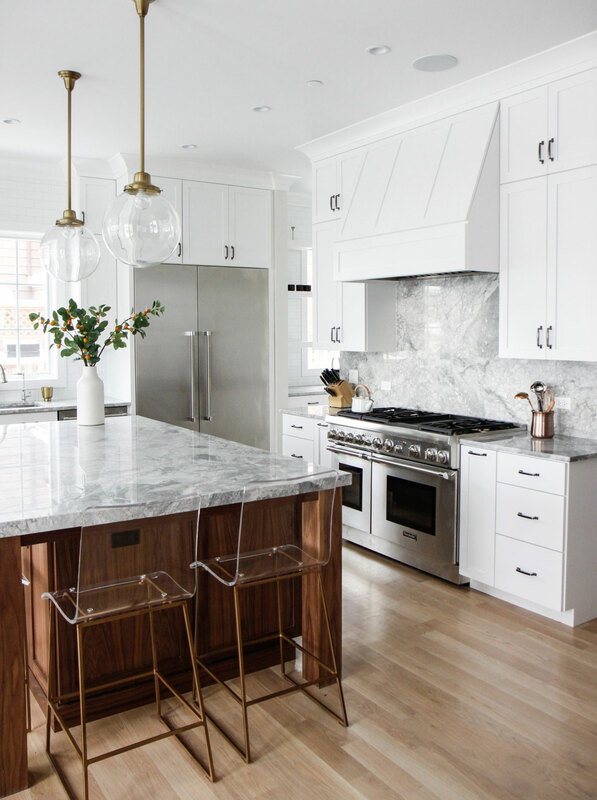 The possibilities are endless when it comes to deciding on the style of your pendants. What are your decor tastes? What about that of your partner? What is your budget? 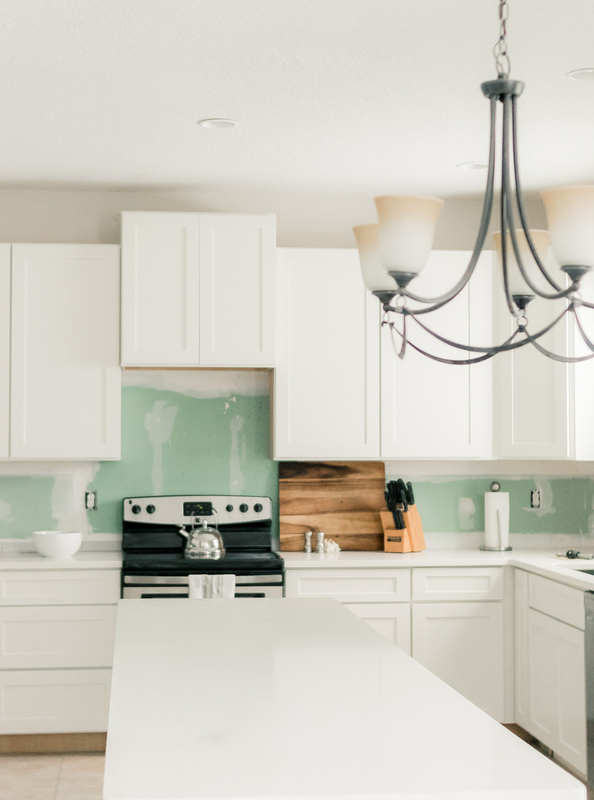 A kitchen renovation, whether you’re financing out of pocket or it’s part of an insurance claim like ours, can be expensive and the costs of accessories like lighting can quickly add up. You can always upgrade lighting as your needs and tastes change. Many times, what one partner loves the other can’t stand. Brian and I usually disagree on décor. I lean toward comfortable glam, and he prefers ultra-modern, abstract pieces. Since I usually win (HA!) I try to be fair and choose pieces that meet our tastes halfway. 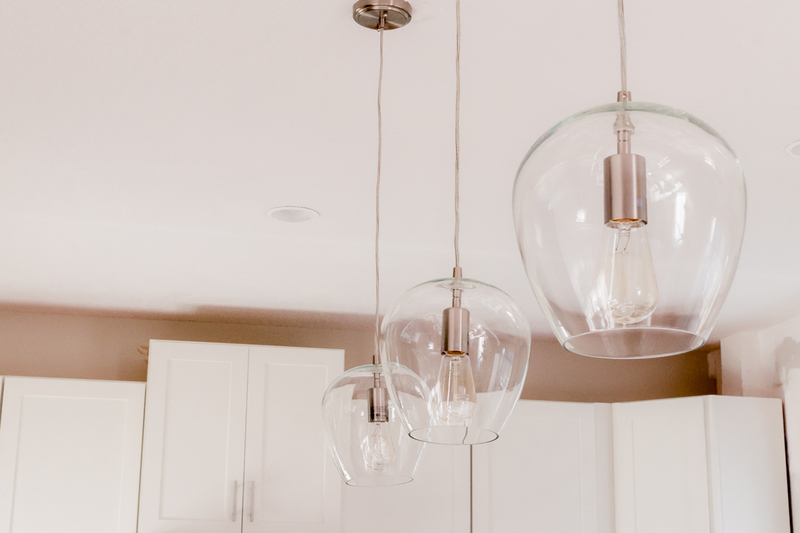 To complement the simplicity of our white shaker cabinets, and as a compromise to our differing tastes, I chose two simple, 8” glass pendants lit by Edison bulbs. If I had gone the glamorous route, I could have purchased two larger pendants as our island is 110” in length. I was considering 3 of the same pendants but was worried about the air vent right in the middle creating an awkward set up. I decided to start with two pendants and see how they looked. Plus, they were under $50, so for the time being, these two pendants worked. 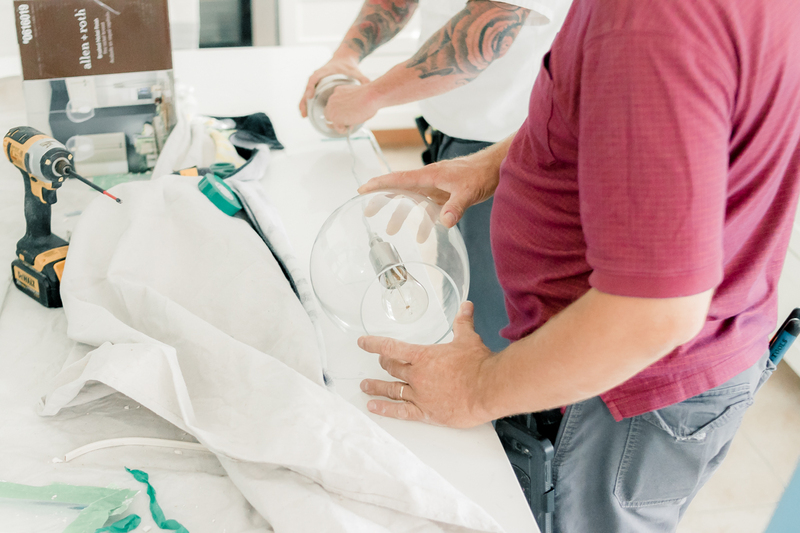 Since our old fixture was waaaay off-center from our new island set-up, and we needed a new electrical box for the second pendant, I knew we knew we needed a professional to install our pendants. 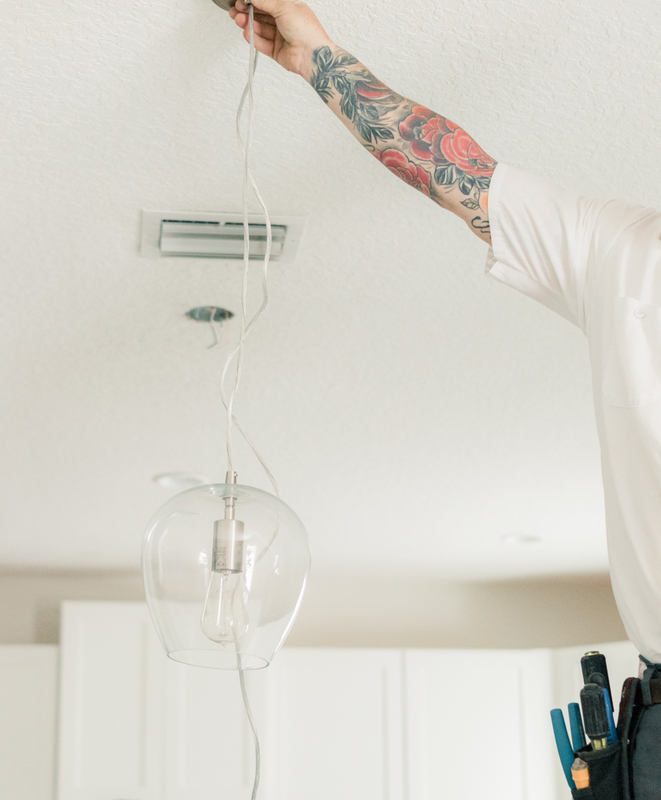 There are many things I try to DIY around the house, but safety is important and electric updates is not something I want to mess with. This was not a DIY job. Since I am alone while Brian travels for work, I am only comfortable hiring professionals from a company I can trust. 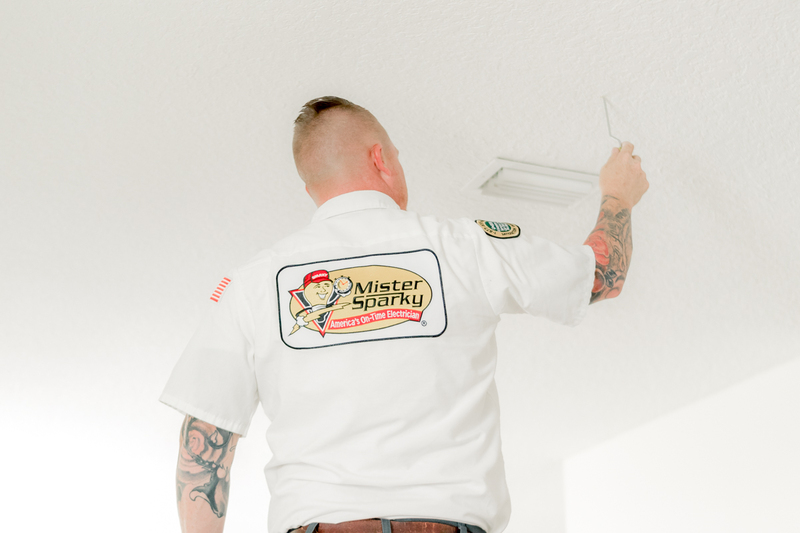 I called on the help and expertise of Mister Sparky® Electrical, part of the Direct Energy family of brands, who have independently owned and operated locations around the country. I was happy to learn that their electricians are also background checked, so I had no worries about allowing a stranger in my house while my husband traveled. Their Jacksonville office has some of the kindest customer service reps I have spoken to in recent years. Carol was super sweet and very attentive as I described the work I needed done. 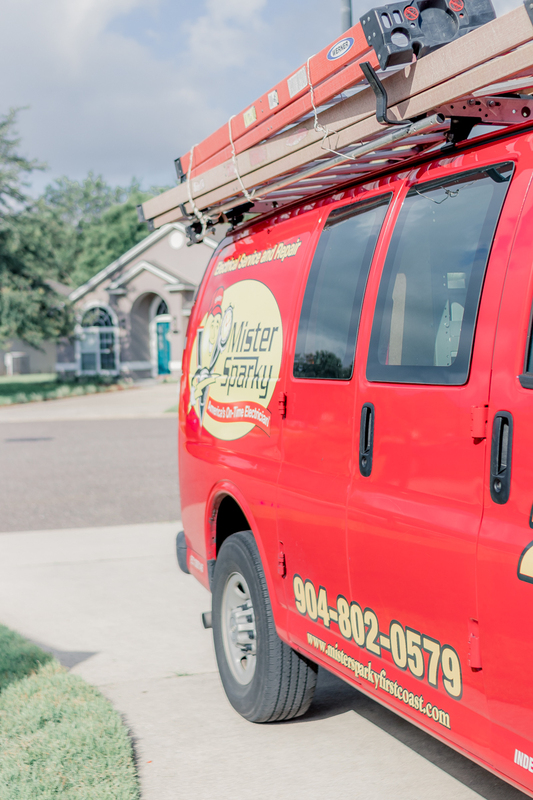 Between Carol’s kindness over the phone, and the professionalism of our electrician, Brandon, it was clear that Mister Sparky is a company dedicated to an excellent customer service and professionally trained technicians. 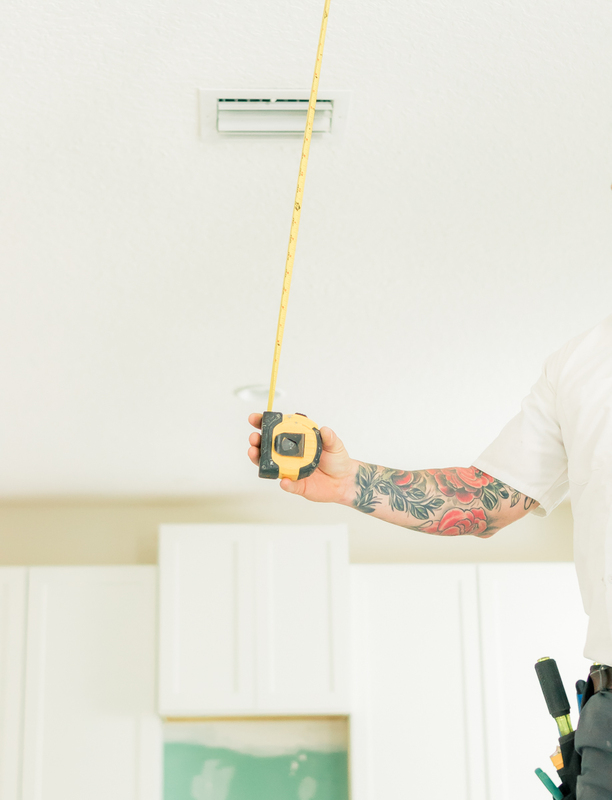 To find the location near you, visit their website or call 888-8-Sparky. 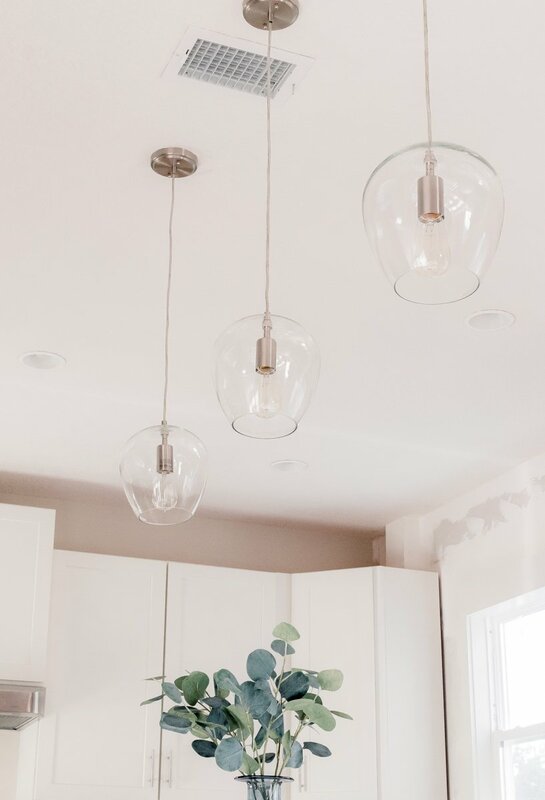 Our Mister Sparky electrician helped me make sure that the pendants would be centered over the island. I marked the locations I wanted the pendants to hang above the counter with painter’s tape on the countertop. He gave me feedback on the appropriate height for pendants and gave me his professional suggestion on the distance between the pendants. 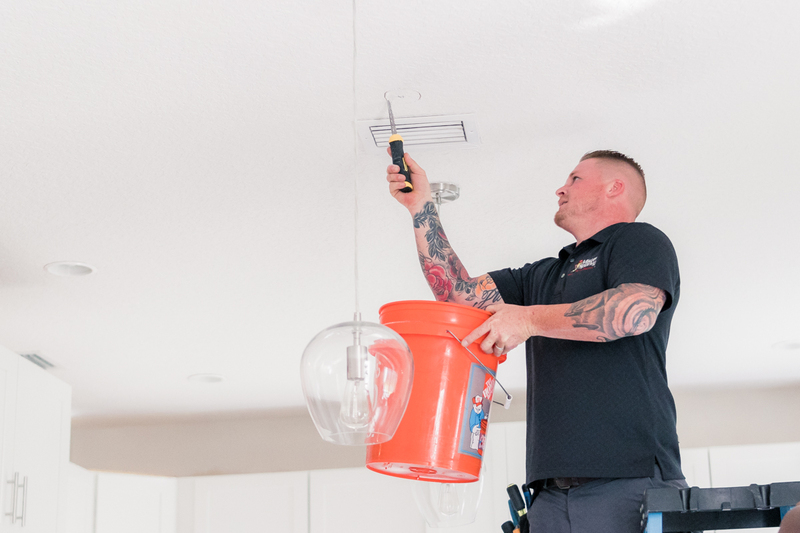 You don’t always luck out with adding new electrical lines in the first-story ceiling of a two-story house. I think the universe decided to throw us a bone, because Brandon didn’t need to drill through any floor joists. Yay! That made the project simpler! Our Mister Sparky electrician told me that I had two options for determining the height of the pendant: measuring 36” from the ceiling or measuring 36” from the counter. We have 9’ ceilings, and even though it was very close, it looked best 36” from the ceiling rather than from the counter. Measuring 36” from the counter made them seem too short. Our kitchen island + table combo is 110” long. When I divided the length by 3 (center, and 2 pendants) I got roughly three 36” sections. Placing the pendants 36” from each edge made them look too close together, so I tweaked the placement and did 30” from the ends of our large island. This looked aesthetically pleasing. 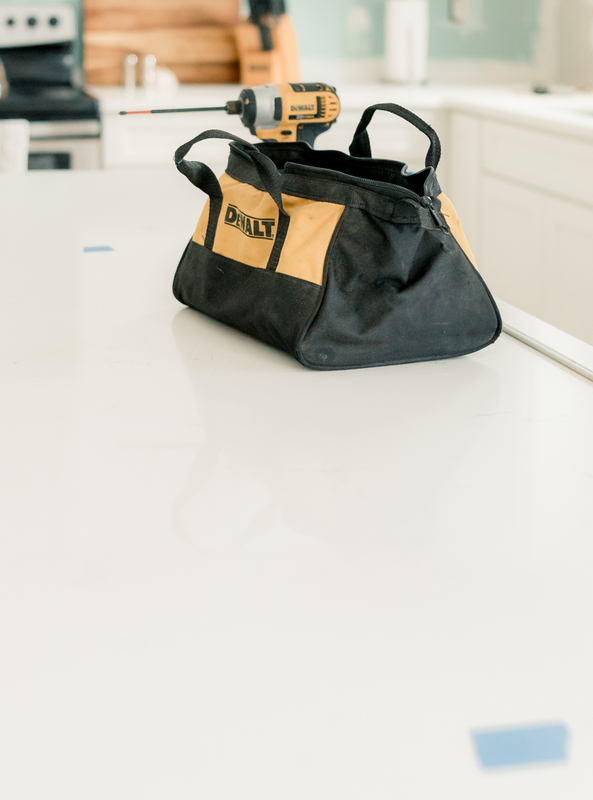 I appreciated Mister Sparky protecting our new countertops with a dropcloth! As soon as the first pendant was hung I was in love! It was so exciting seeing this come to fruition! 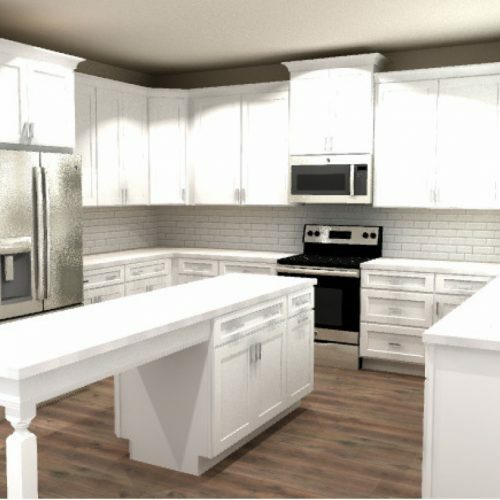 I could already envision cozy dinners and good times with family and friends at our kitchen island! I love our new pendants! They are simple and not stuffy. But sometimes, even with all the planning in the world, things look different in the room than how you imagined them. 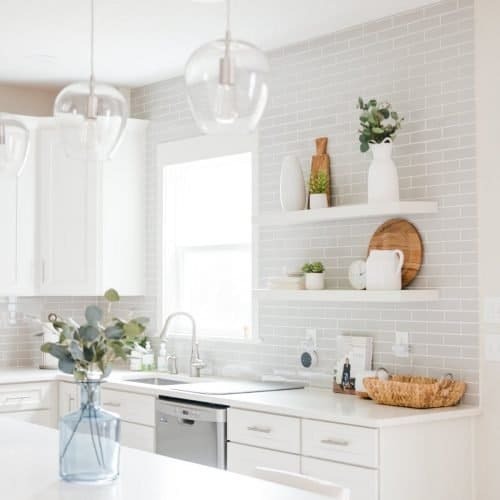 It’s one thing seeing the pendant in the store crammed between dozens of fixtures, and a different thing seeing it with all the open space in your kitchen. After I had some time to look at them for a few days, I felt that I needed a third one in the middle! 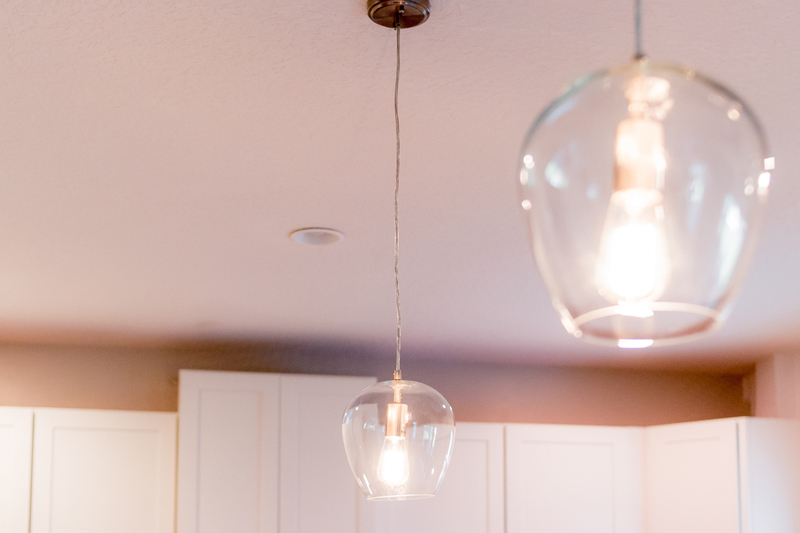 It’s hard to see from the pictures, but we could realistically fit a third pendant in the middle and maintain symmetry and good spacing. Because our Mister Sparky electrician and I did such a good job with the placement, I knew I could call them to add a third if pendant. And that’s exactly what I did. Their dispatchers were so kind and understanding that it (alllllmost) helped me not feel sheepish for asking him to come out yet again! 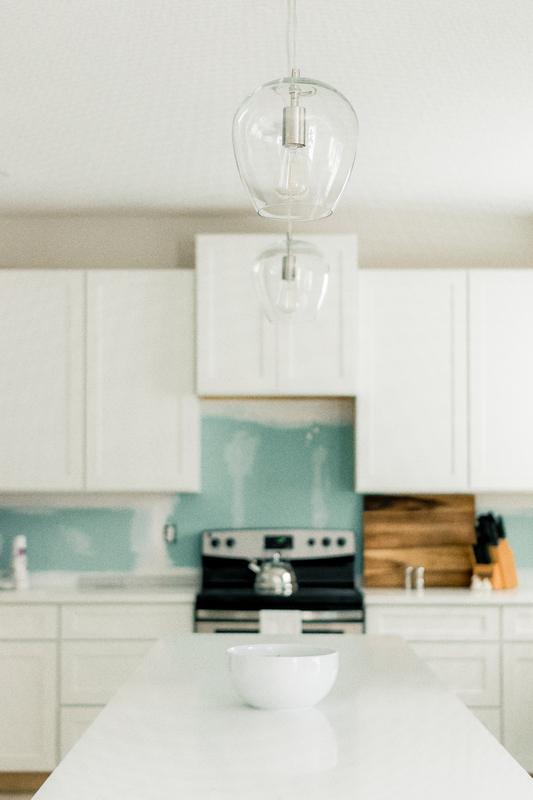 I hope you’ve found this helpful in planning your own kitchen lighting! 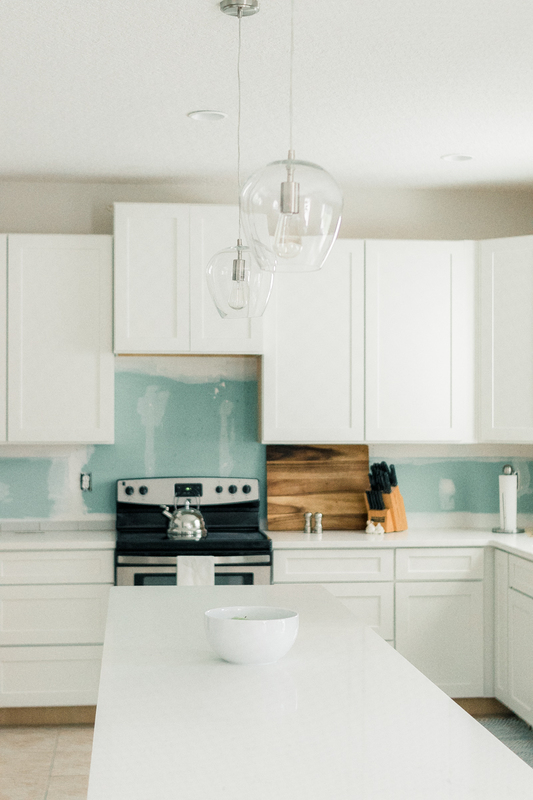 Even if you’re not renovating your entire kitchen, it’s amazing the difference the right lighting can make. 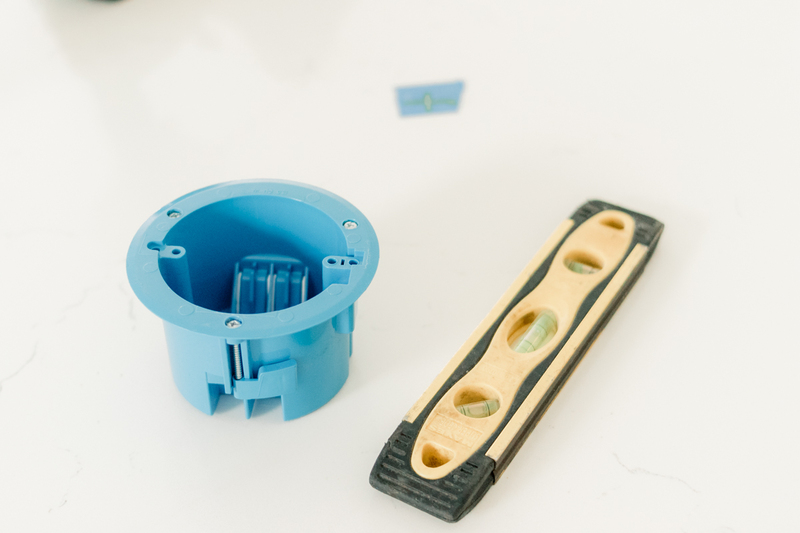 Do you have a project in mind this summer? Bookmarking this for later! Thank you for sharing this with us. love the lights you chose! i love classic types that seem to never go out of style. The lights you chose are gorgeous! I would love to add pendant lights over our peninsula. We have recessed lights now, so it should be an easy swap. What is the brand and model of this pendant? I cannot find anything like it.